This video has been a long time coming, it's taken me forever to film this video as I'd been meaning to get a haul up on my channel even before Christmas! For that reason this haul is quite big as it is a collective one - I did try to cut it down as much as I could so I hope you don't mind! 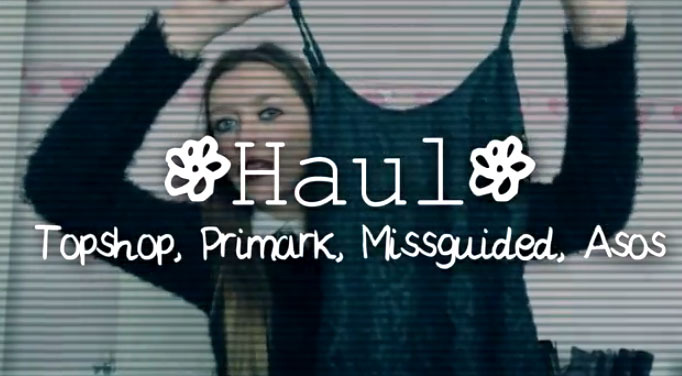 I feel that it's worth a mention that this was filmed around 2 weeks ago and there was me sounding and feeling ill while filming the haul, just getting over an unpleasant sickness and as I'm writing this blog post I am currently lying in bed, doped up on antibiotics for the second time in 2014 feeling sorry for myself :(. Seriously don't understand what I've done to get this ill, it hasn't been a good start to 2014 health wise for me anyway!